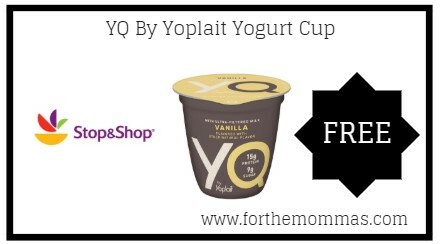 Stop & Shop: FREE YQ By Yoplait Yogurt Cup Thru 12/6! 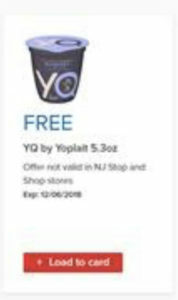 Stop & Shop buyers can load an ecoupon good for a FREE YQ By Yoplait Yogurt Cup 5.3oz.! Register or log into your account to load your FREE YQ By Yoplait Yogurt Cup. This coupon is redeemable thru 12/06/18. Note: Not valid at New Jersey stores.